This Honey Glazed Carrots recipe is loaded with health-promoting antioxidants, particularly beta-carotene. 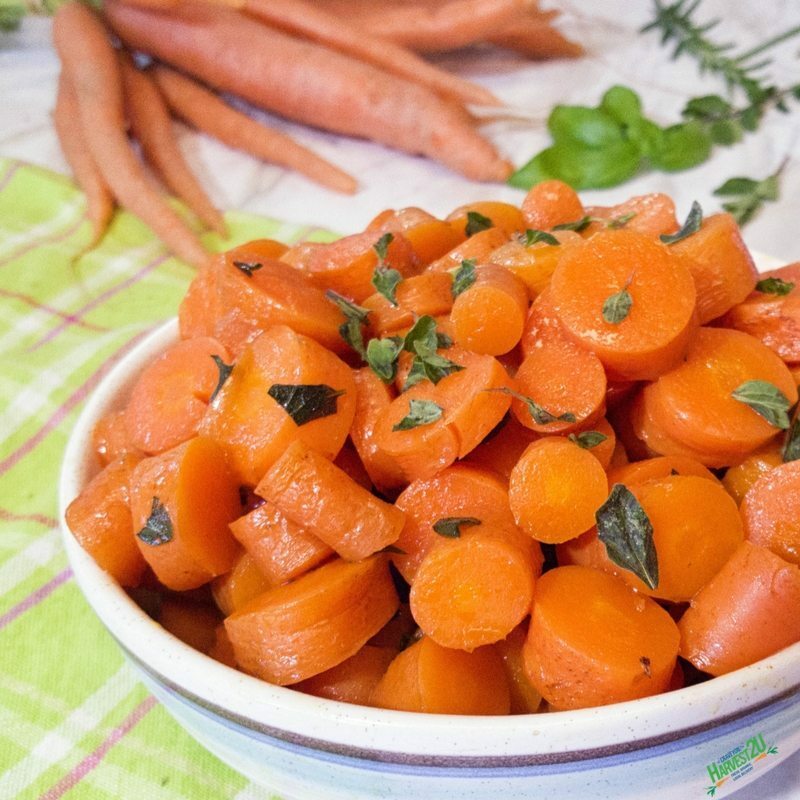 Plus carrots have a nice dose of soluble fiber and carotenoids making them an excellent choice for any meal. I jokingly refer to these as “hide the evidence” carrots. On Easter Saturday night and Christmas Eve, after my son has gone to sleep, I peel and cut the carrots the Easter Bunny or reindeer didn’t finish 😉 and store in a ziplock bag in the back of the fridge until cooking time. If you are cooking them for a weekday, you can cook them in the microwave or on the stove top, but for holidays I like them in the slow cooker. I get them ready to go in the morning, and it is one less pot on the stove or in the oven and one less thing to think about in that last minute rush before meal time. Add the carrots, olive oil, and honey in a slow cooker and cook for 3-4 hours on low or 2-3 hours on high.